CCIS Construction Consultants performs a wide variety of construction-related services using our 300+ years of combined experience to identify and assist in solving issues. We have consulted on projects from coast to coast specializing in projects in the southeastern U.S.
To assist our clients with exceptional service through vast construction knowledge, professionalism, and over 300 years of combined experience in the construction and environmental industries. 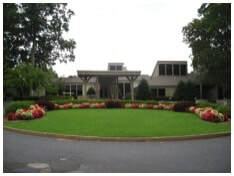 Click Here to see the locations where CCIS has performed services. 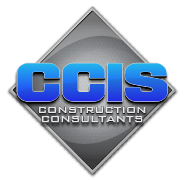 CCIS offers an extensive array of construction consulting services to residential and commercial clients. Our diverse team of skilled professionals provides the best in comprehensive forensic investigations, project assistance, risk management and dispute resolution & litigation support. CCIS performs inspections and field testing relative to evaluating the performance of a variety of building envelope systems. As building professionals, CCIS applies a comprehensive methodology for evaluating water leakage through walls, roofs, and subsurface waterproofing. We are capable of successfully evaluating the performance expectations of the various components of each system and the interaction between these components and adjacent construction. A tremendous amount of field expertise provides CCIS professionals with a clear understanding of how systems should be installed and/or why defective conditions exist when evaluating buildings that exhibit water leakage. CCIS follows testing protocols established by American Society for Testing and Materials (ASTM) and FBC-HVHZ Test protocols. 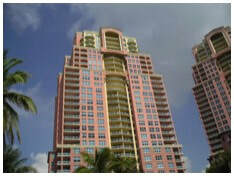 CCIS specializes in construction defect inspections. A construction defect is generally defined as a defect or deficiency in the design, construction, materials or systems employed on a project that results in a building, structure or component that is not suitable for its intended purpose. Construction defects that directly affect the performance of a structure can be the result of defective design or construction practices. Examples of these are defects that allow moisture intrusion into the structure and defects that can render the building structurally unsound. We believe a balanced approach is necessary when properly establishing the existence of defective conditions. CCIS thoroughly understands the multifaceted aspects of design, installation, and application of all building components, and we are capable of appropriately and accurately accessing those conditions. The role of the expert witness is an integral part of construction litigation. Today, there is a heavier burden on experts because of the diversity of the dispute process. With an average of 40 years of experience, the in-depth expertise of our Senior Managers provides reasoned, insightful, and impartial assessments in the field or the courtroom. Coupled with detailed and thorough investigations and reporting, CCIS’ testimony has routinely aided its clients in successful settlements. ​CCIS performs field-testing procedures relative to evaluating the performance of installed windows, doors, storefronts, curtain walls, sloped glazing systems, and skylights to determine the cause of water intrusions. Field testing for water penetration will determine the quality of work of subcontractors and manufacturers, ensuring their accountability that proper manufacturer and installation procedures were followed during the construction process. CCIS follows window testing protocols established by the American Architectural Manufacturers Association (AAMA) and the American Society for Testing and Materials (ASTM). CCIS understands the differences and complexities of each testing standard and how the testing standards should be applied. Our extensive knowledge and forensic experience helps us successfully determine the path of water and provide accurate assessments of risk and repair protocols. Our experience ranges from complex government projects with multiple security restrictions to expansive commercial projects exceeding 1.4 million square feet. We consistently achieve considerable saving in time and final costs. We ensure attention to details and a desire to serve our clients in a timely, professional manner. CCIS' First Party Property Group, with its vast experience in various construction and environmental issues, is dedicated to assisting our clients in resolving First Party Property disputes. CCIS' staff performs timely site inspections and documentation review, and evaluates the cause and effect of property loss events. Whether the First Party Property Claim is small or large, CCIS' work ethics are unchanged. CCIS' First Party Property Group prides itself in delivering its very best work product to our clients in an economical and efficient manner. CCIS' staff includes four stucco certified third party inspectors from Exterior Design Institute (EDI). We have extensive experience in stucco home inspections, litigation, manufacturing, technical specifications, research and development. 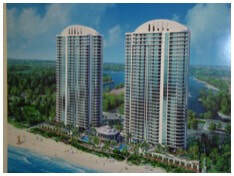 Projects include both residential and commercial properties. ​Improper installation and lack of proper detailing and sealing of EIFS (Exterior Insulating Finish System) cladding leads to failure, water intrusion, and subsequent structural damage. Each member of CCIS’ field staff is a certified EIFS Inspector who can provide thorough and complete inspections and testing relative to identifying areas of water intrusion. We provide residential, commercial and third party inspections. Indoor air quality (IAQ) is a term referring to the air quality within and around buildings and structures, especially as it relates to the health and comfort of building occupants. IAQ can be affected by gases (including carbon monoxide, radon, and volatile organic compounds), particulates, and microbial contaminants (mold, bacteria). CCIS’ determination of IAQ involves collection of air samples, monitoring human exposure to pollutants, and collection of samples on building surfaces. CCIS is certified and licensed to provide testing and inspections for these IAQ contaminants. To see an overview of recent projects click here.